HomePod shipments "could be far below market expectations" this year, according to reputable KGI Securities analyst Ming-Chi Kuo. "Our understanding is that the market expects HomePod shipments to arrive at 5-10 million units in the 2018 fiscal year, versus our forecast of only 2.0-2.5 million units," wrote Kuo, in a research note obtained by MacRumors. Kuo believes the "major miss" in HomePod shipments could be attributable to the speaker's design and pricing, among other factors. For starters, at $349, he said the HomePod's high price "could undermine demand despite excellent sound quality." He added that Siri provides an "uninspiring user experience" compared to competitors, presumably including the Amazon Echo with Alexa and the Google Home with Google Assistant. Kuo said the HomePod's potentially lackluster sales highlights "underlying concerns" in Apple's development of artificial intelligence. It's been six years since Apple introduced Siri to the market, which was way ahead of the firm's major competitors. The massive population of iOS and macOS users is also conducive to the promotion of the voice assistant function. However, we note that for most users worldwide, Siri is not a must-have function, and Apple has not yet become a leading brand in the AI voice assistant market. We also note that HomePod has not added support for new languages in the device since launch, suggesting Apple is facing challenges in AI/voice assistant development spanning the globe; this will cap the shipments momentum of HomePod. The oft-accurate analyst said Apple is "mulling" a "low-cost version" of the HomePod that may help short-term shipments. However, even if the product materializes, he predicts it will only provide a short-term boost to sales. Kuo's research on potentially lower-than-expected HomePod shipments echoes similar reports from Bloomberg News and the China Times earlier this week. 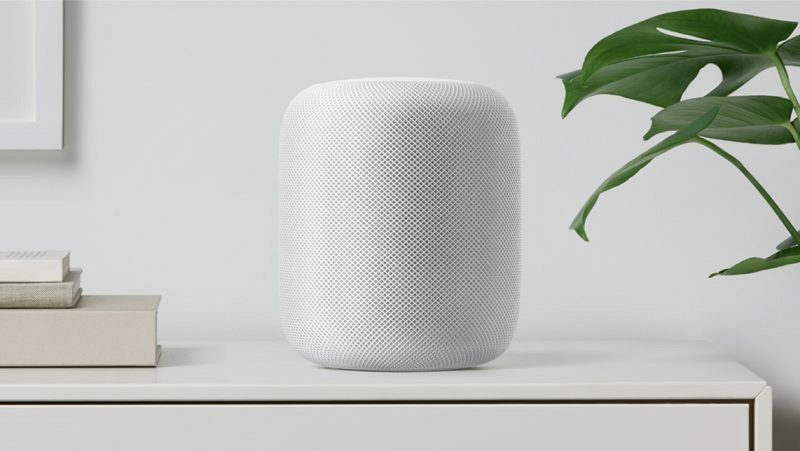 Rumors about a lower-priced HomePod have also surfaced a few times in recent months, with one report suggesting a $150-$200 price in the United States. Apple released the HomePod in early February in the United States, United Kingdom, and Australia, and it also confirmed availability in France and Germany later this spring. AirPlay 2 features such as stereo sound and multi-room audio won't be available until later this year, according to Apple. 2. Device is feature complete. 3. Can be used with third-party streaming services. 4. People don’t care about Siri’s smarts (or lack thereof) and only use Apple Music. I would buy a HomePod if it would integrate with AppleTV. no more hunting for the remote and holding down the Siri button. Needs Spotify connect, then I might be tempted. A smaller $150 'brain' still isn't going to interest consumers if the brain isn't as smart as the competition. I'd say that consumers don't want the speaker because of the walled garden approach, and Siri's blatant not-as-smart-as-google/alexa problem. Apple are way behind the curve here. Any user can have an equal or better sounding home assistant speaker setup for less money using either google's or amazon's more intelligent AI and hardware that can fit into their current speaker system. A cheaper (but still not as cheap as the competition) voice led assistant from Apple, is still a poor quality rival next to say, Alexa and a couple of Sonos Ones. There's just no reality distortion field here that is gonna do it for Apple this time. Too late to market had a huge impact on sales also. I hope not because margins are everything and let’s keep it working with Apple stuff only. If you open up HomePod to google music then you mine as well license Mac OS to third party’s. This is a really bad lukewarm taek. Apple Music is already on Google's platform. iTunes is all over MS' platform. The HomePod is a speaker. If Apple wants it to sell well, it should be accessible to as many devices and ecosystems as possible. If Apple wants it to be an additional binding element in their ecosytem, they can just continue doing as they are now. Just so you know, you can Airplay Google Play Music on a HomePod. So there's that. Instead of a “lower priced HomePod” why not just lower the price of the HomePod ?